Please keep in mind that the automatically confirmed on-line reservations are closed at 13.00p.m for the following day (i.e. 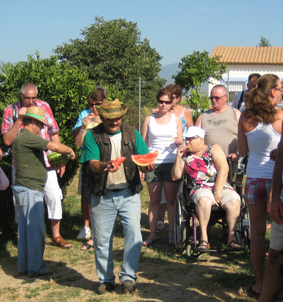 for the excursion on Tuesday reservations are only possible until Monday 13.00 hours). If you would like to reserve after 13.00 hours for the following day please contact us in our company PROMARKETING on the phone +34-952 38 31 40 in order to confirm if there are still seats available. After we left the touristic Costa del Sol behind us, we are immediately surprised by the extraordinary green valley of the Guadalhorce River with its enormous amount of plantations of citrus fruits. 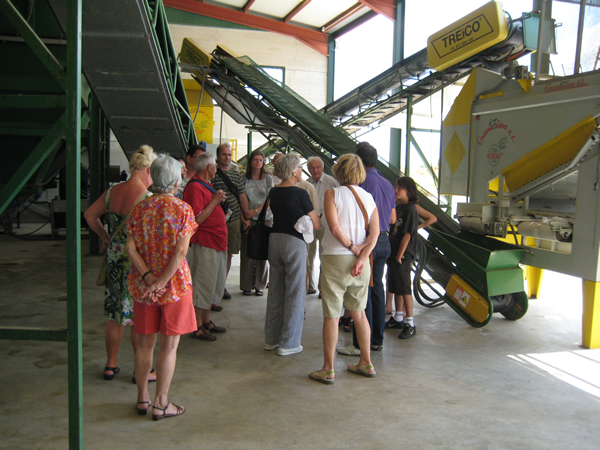 During the visit of one of them we will discover the huge variety and different characteristics of oranges, lemons and other fruits, which are as well cultivated in this especially fertile area. Obviously we will also taste all these fruits. 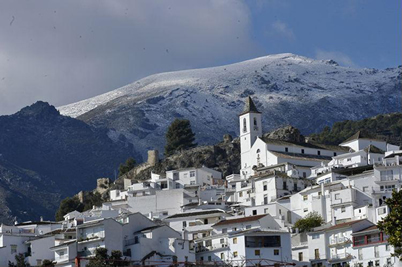 In order to get even more into the mood for the rural regions, we enter the Biosphere Reserve Sierra de las Nieves on a dirt track – a kind of road which is very common in a world, which strongly differs from the sparkling and modern lifestyle of the Costa del Sol, situated at only some 40 km distance. 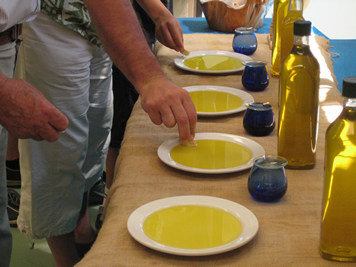 The interior of Andalusia is mainly defined by its olive groves, which are cultivated for the production of the “liquid gold” – the olive oil – although especially in this area they produce as well table olives. We visit a modern olive oil mill to get to know the whole process of the oil production, from the olive up to the oil bottle in the supermarket. Finally we will try in an olive oil tasting the different types produced in this mill and will be surprised by the wide range of flavours, aromas and colours. We will also get to know everything about the properties of this real natural treasure for the human body and health. 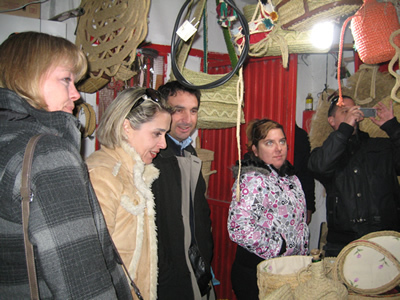 Lunch will be taken in a typical restaurant of the village with plates based on the traditional local cuisine. 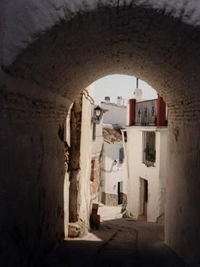 Afterwards we stroll through the charming alleys of the village Casarabonela, which are still marked by its historical Moorish lifestyle and architecture, its fountains and religious niches. 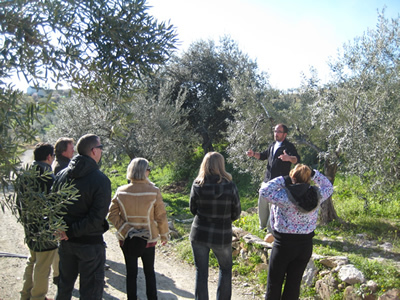 Discovering its most picturesque corners, we will finally stop in an ancient olive oil mill to see the historic equivalent of the modern technique we saw this morning. We will talk to the current owner – an elder man, who worked at the facility from his earliest childhood. He will tell us all his memories and will bring back to life old days. Our last stop will be the house/workshop of a couple, which still works the esparto grass. 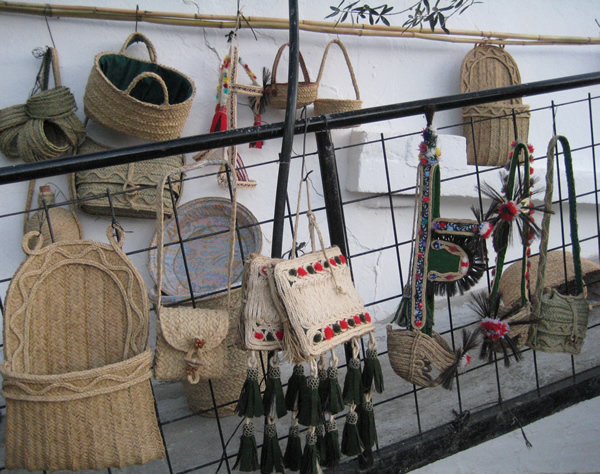 This material was used in Andalusia since prehistoric times for the elaboration of shoes, bags and sacks for transporting goods and food, bridles, etc. 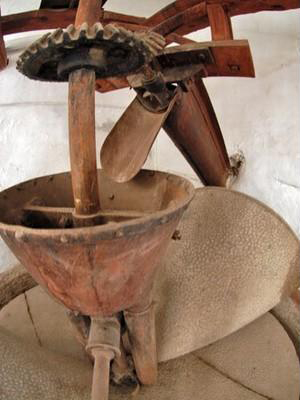 The preparation of the raw material hasn’t changed since immemorial times, but it’s used now for much more purposes. Be surprised about the possibilities of a material that converts handicraft in real art and finds solutions for any decorative request and any aspect of the daily household. Return to the hotels or pick-up points, which we will reach at around 18.30 hours.